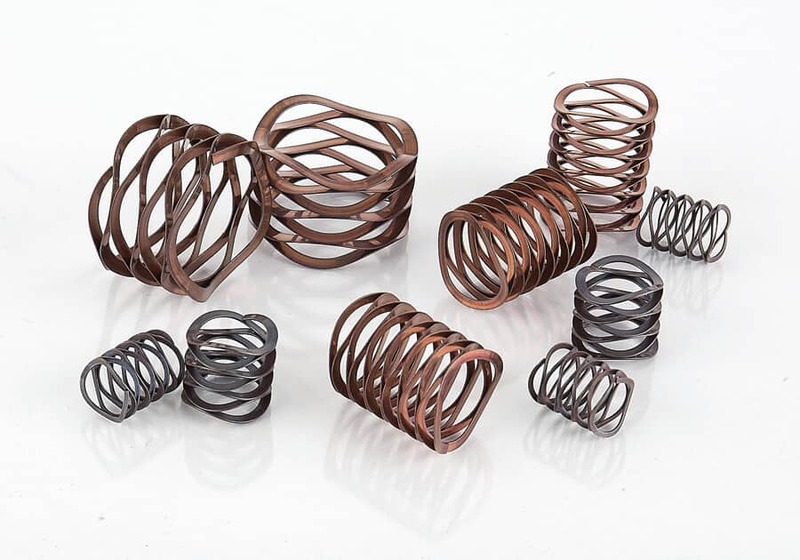 Designed to fill load and spacial needs in the range between traditional Disc Springs and coiled compression springs, Poly Wave Springs offer loads of up to 25 lbs. with a free height of less than one inch. Poly Wave Springs are made from round edged flat wire that has been pre-tempered. Made from Type 17-7 PH Stainless Steel flat wire, these springs may be used in high heat environments, performing well at up to 650°F.